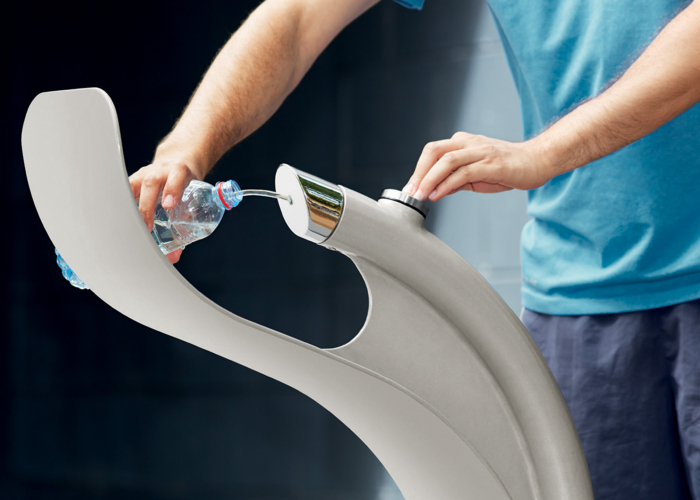 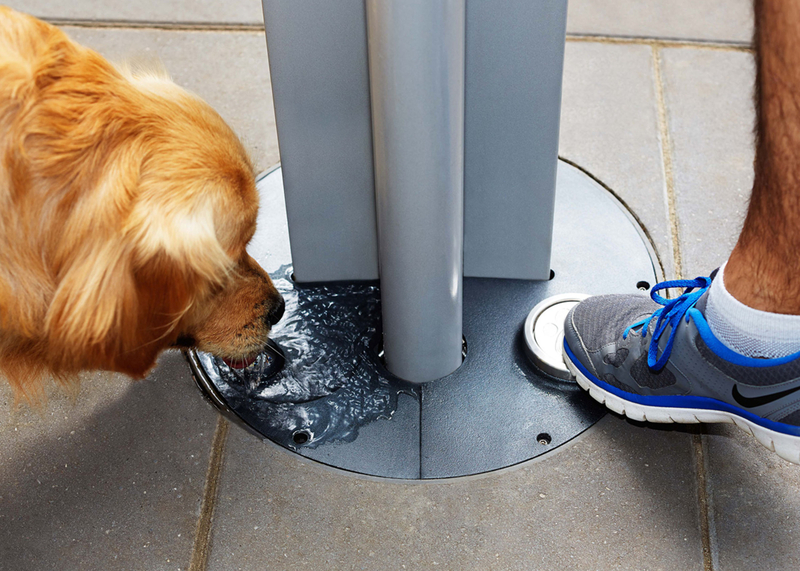 Advanced high-tech drinking fountain that allows people to take a drink, refill a bottle and hydrate their dogs. 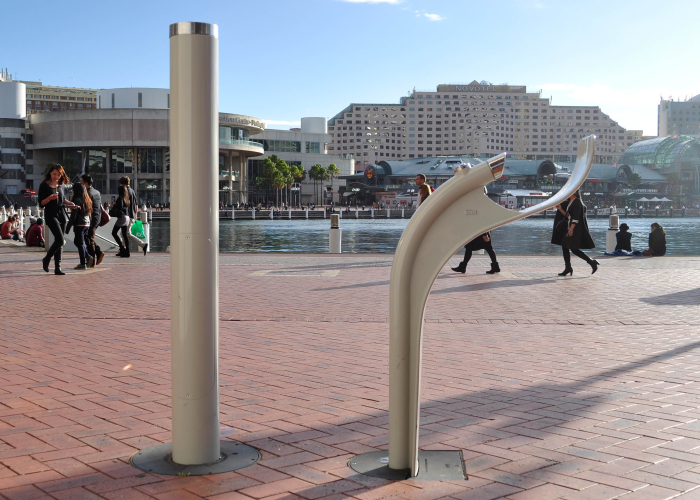 Public space is the new backyard in cities. 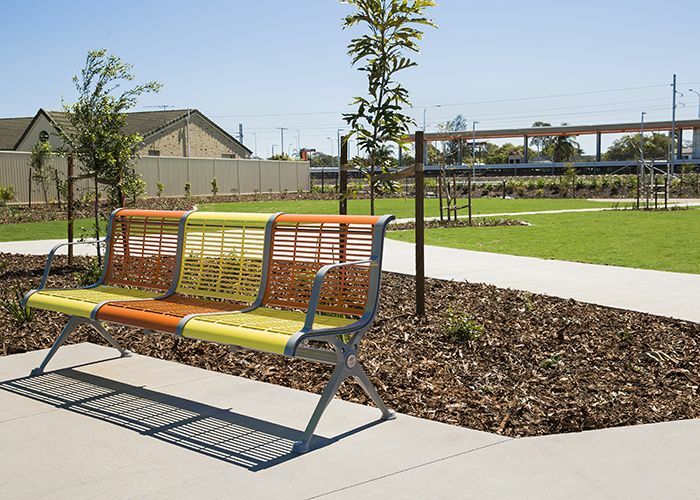 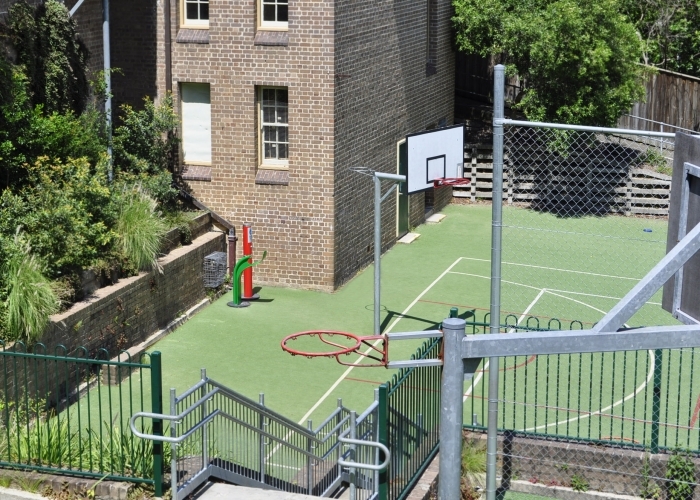 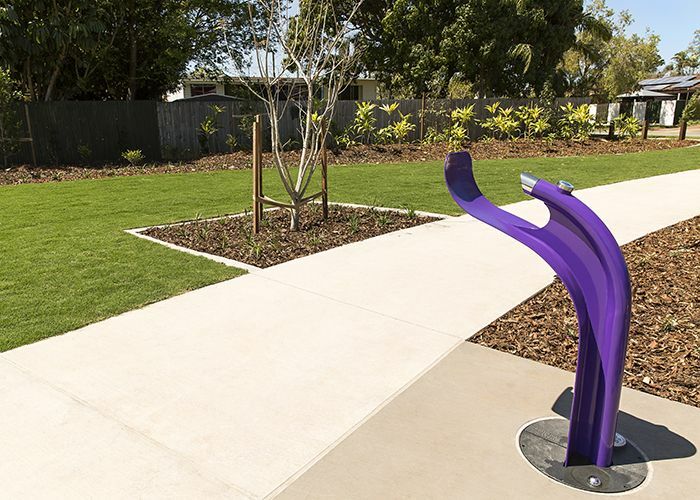 The local park is a great place to exercise and socialise with mates, human and canine, to get out of the apartment, unwind from work and keep active. 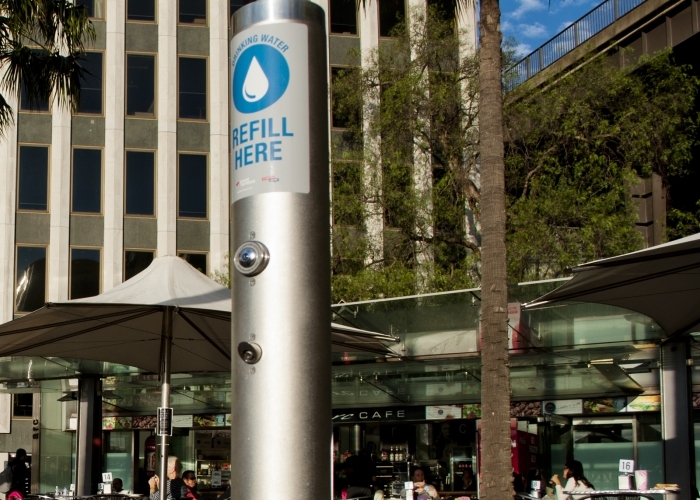 Australians spend around $12 billion a year on their animals, according to Animal Medicines Australia. 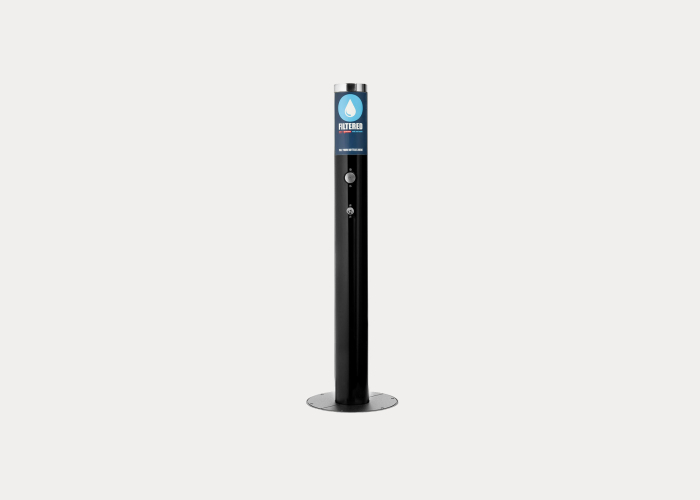 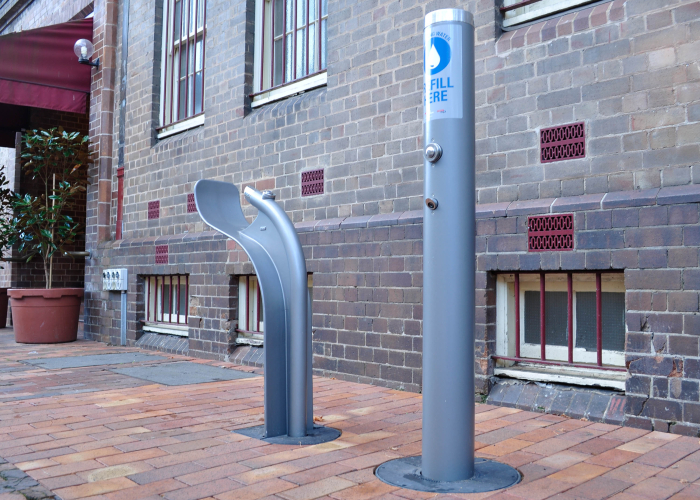 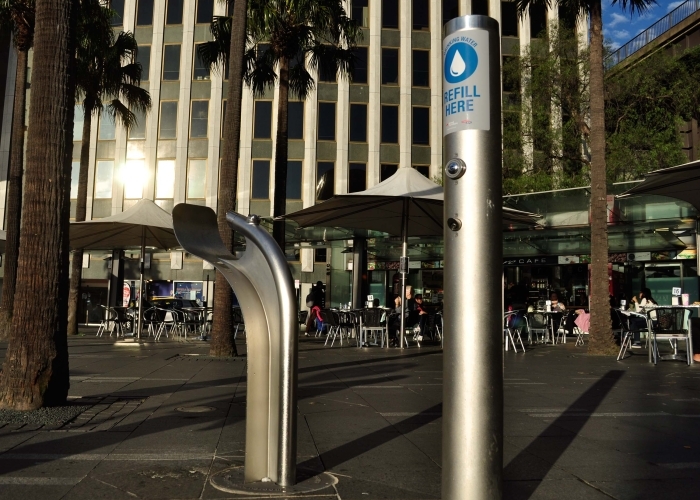 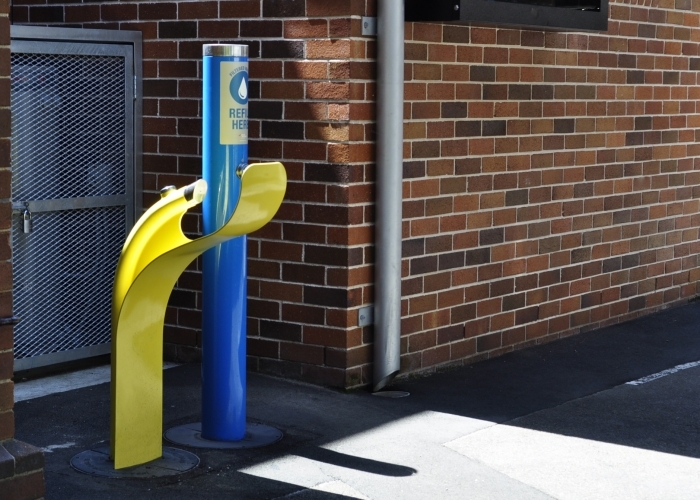 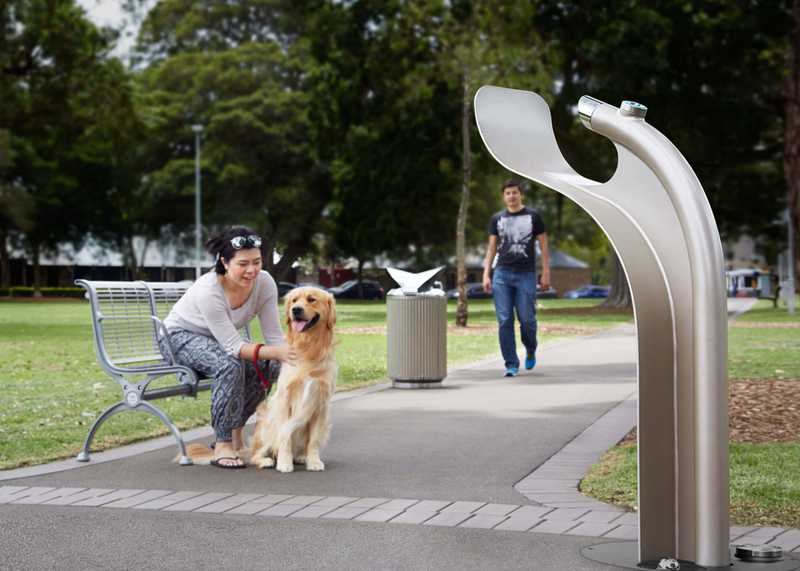 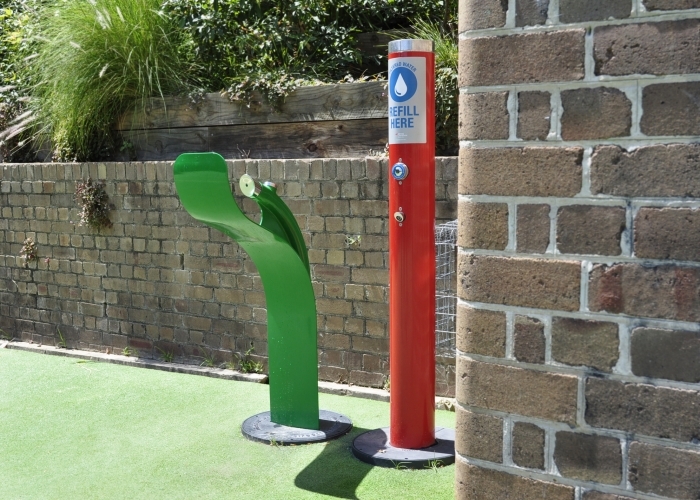 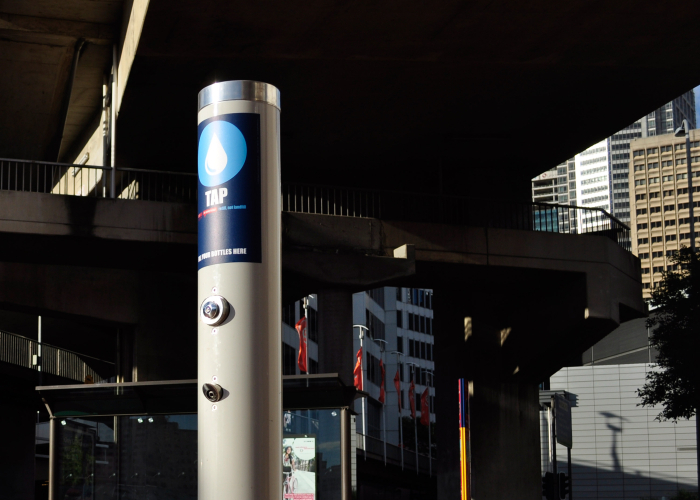 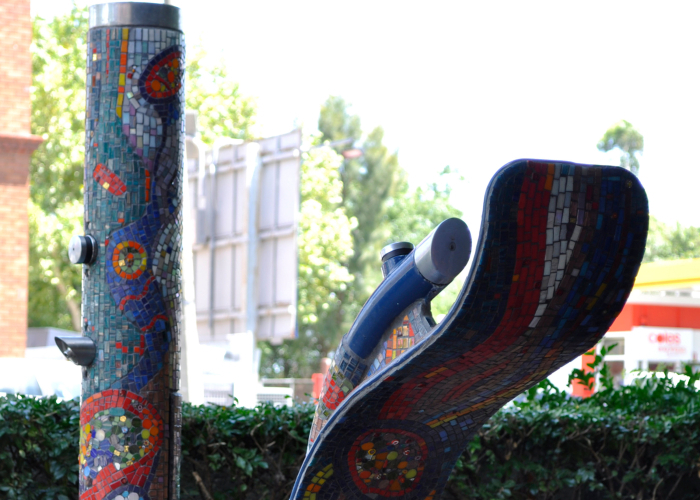 Pet owners expect the best for their animals, and Street Furniture Australia wants to provide this in public spaces. 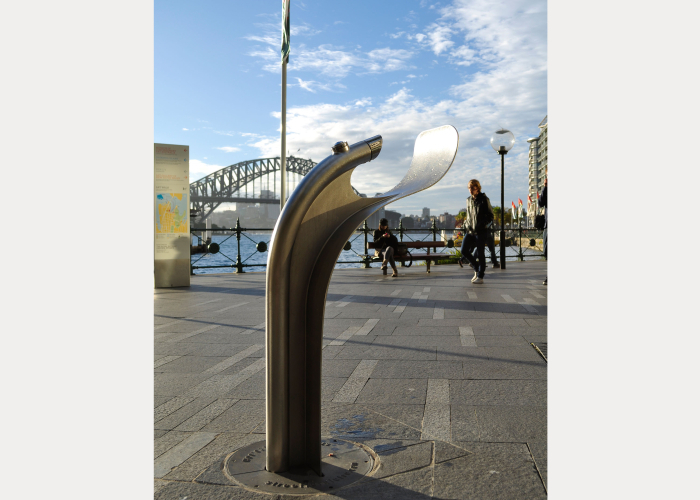 This is the first and only dog bubbler on the market. 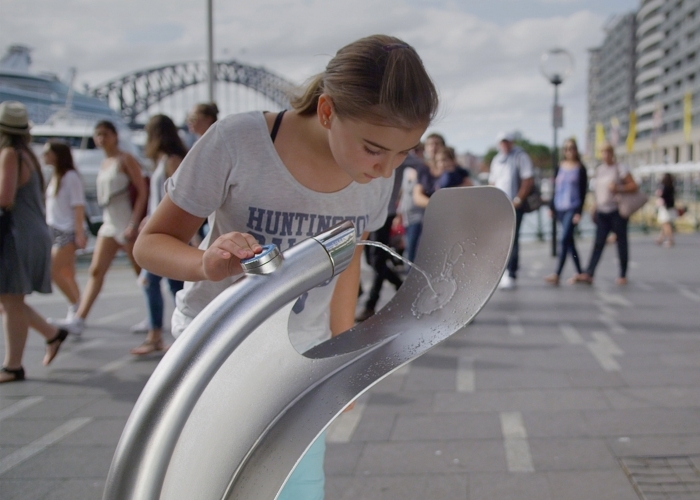 Other fountains include pivoting bowls that are messy to operate and produce stagnant water, which is especially dangerous for young children who are attracted to water. 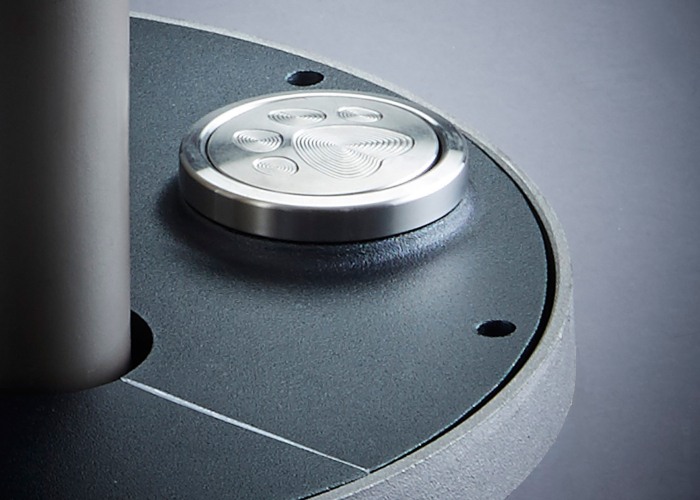 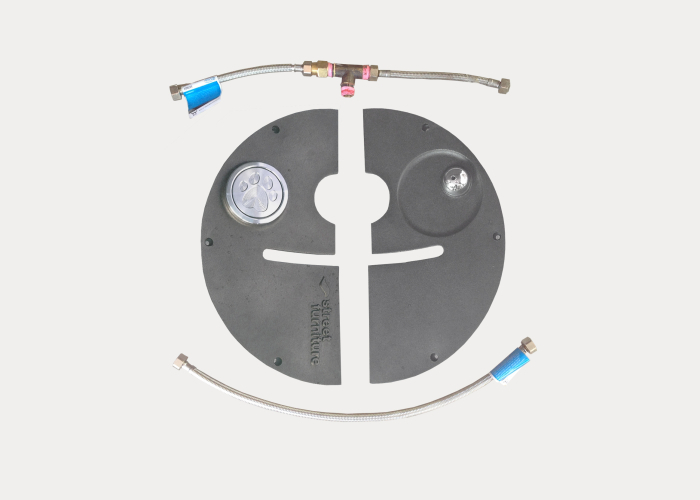 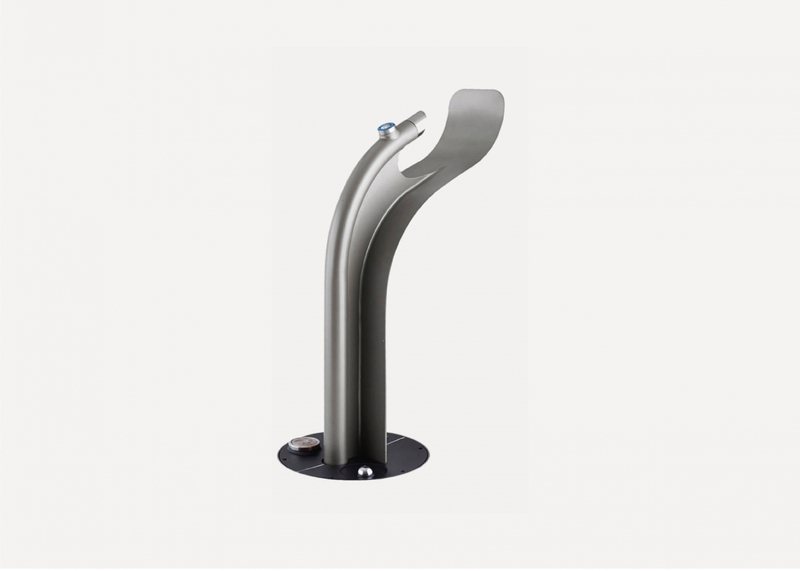 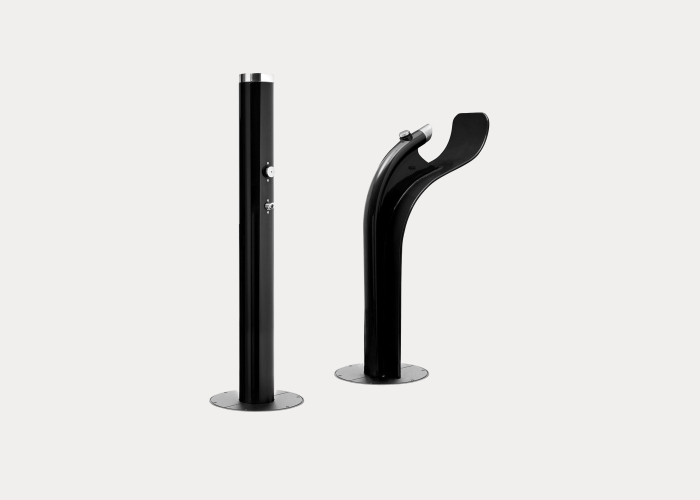 The dog bubbler requires very little maintenance, and is available in both Stainless 304 powder coated or electro-polished Stainless 316 (marine-grade). 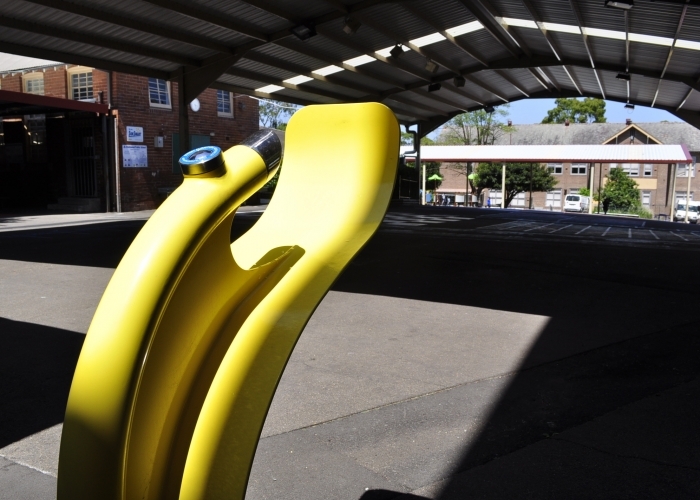 A popular choice for custodians who prioritise safety and hygiene. 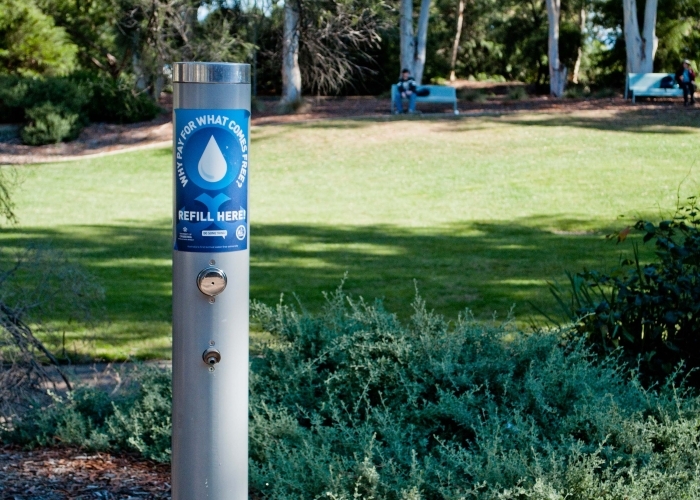 Please note it is best not to install the dog bubbler near sand, which may interfere with button activation. 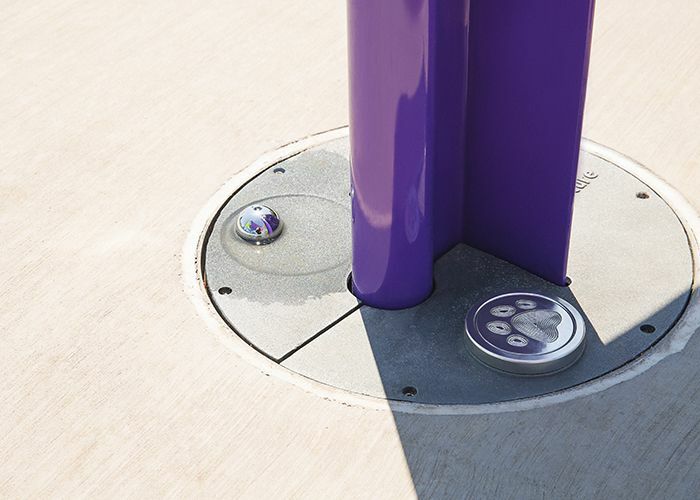 Universally designed for wheelchair users. 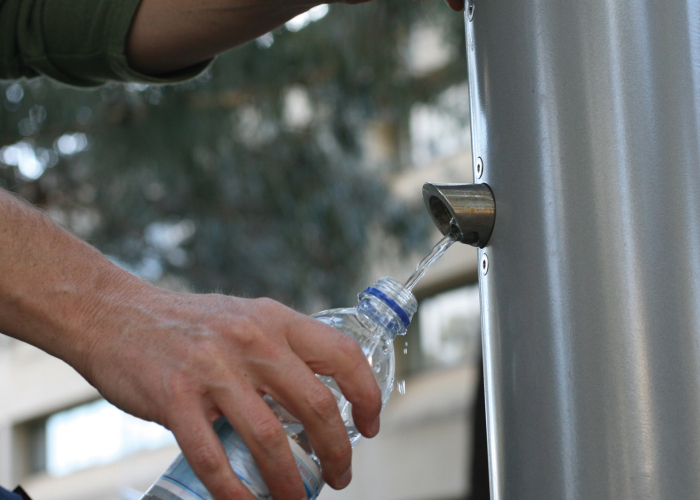 Refill a 600ml water bottle.